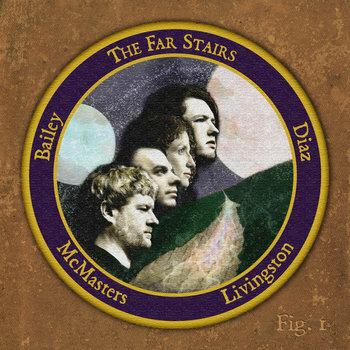 THE FAR STAIRS is a message etched onto a golden record in a space probe speeding past the edge of the solar system, carved into a black pyramid submerged in the heart of the jungle, flickering across screens in a room full of worried-looking dogs, bursting in coded fragments from haunted outposts on forgotten islands, subtly adjusting the balances of your hidden bank accounts, shimmering in swaths of light above the trackless wilderness at the rim of the world. It isn't something you can run from. It blows in through the plants and wraps the cold and glowing heights. It grows into your hands at night.